May 18 at Lanesboro Community Center, 8:00 PM. This dance is part of the Bluff Country Gathering and will feature all the staff musicians from the Gathering with caller Paul Tyler. Admission is $10.00 for this dance only. 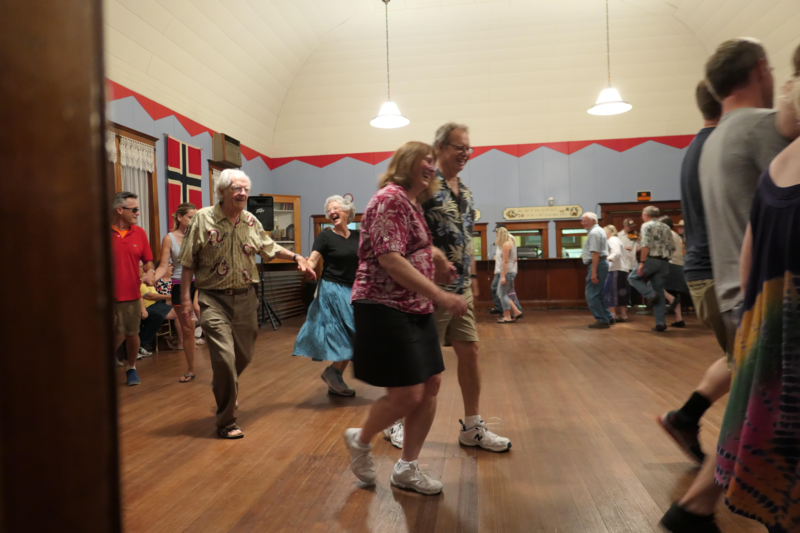 Regular Barn Dances this year are moved due to construction at the Sons of Norway. They will be on Fridays...Pizza Night at DreamAcres. Come early to get an organic, vegetarian, wood-fired pizza. This event is made possible by the voters of Minnesota through a grant from the Southeastern Minnesota Arts Council, Inc. thanks to a legislative appropriation From the Arts & Cultural Heritage Fund. 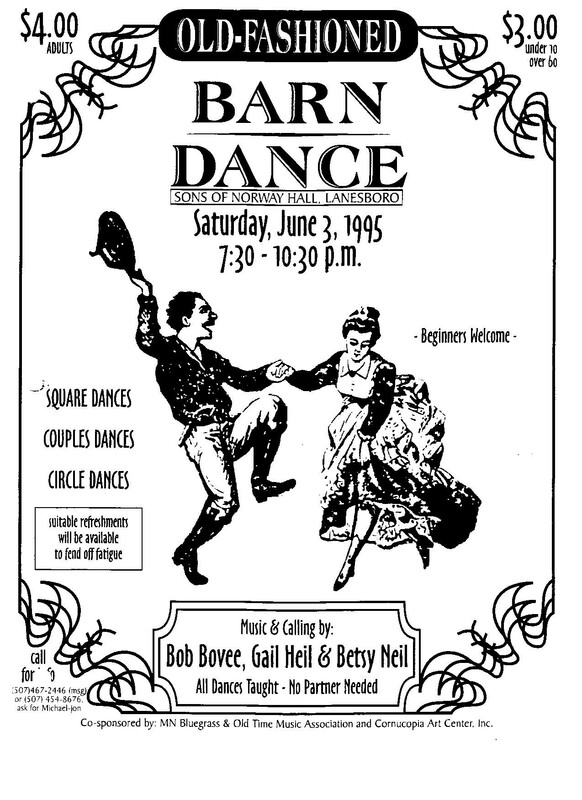 The Lanesboro Barn Dance was begun in 1995 by Bob Bovee & Gail Heil. 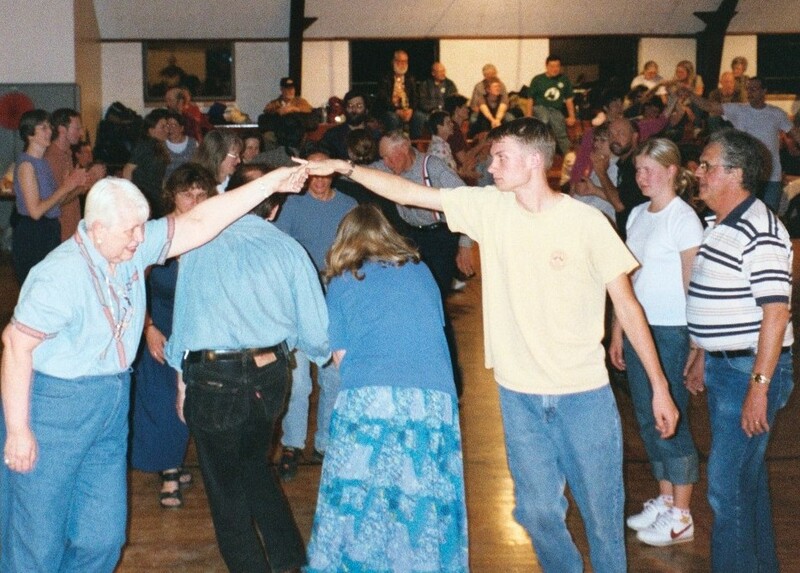 It is an old-fashioned square dance, typical of many of the dances held throughout the Midwest in the past, in barns, homes and community halls. The dance is held at this year at the Sons of Norway Hall in Lanesboro and DreamAcres Farm, near Wykoff, MN at 8:00 PM, always with live music and calling (including teaching). Dancers need not have prior experience, nor do they need to come with a partner. Admission is $8.00. 2019 marks the twenty-fifth season of the Lanesboro Barn Dance. Here's the poster from the first dance. Our Mission: The Lanesboro Barn Dance is dedicated to the perpetuation of traditional American music and dance for audiences of all ages and levels of experience. We present 3-6 dances per year with live music and dance calling.